Surge protector is the special power outlet that can protect your electronic devices from sudden power surge or lightning strike by conducting the extra electricity safely. This is especially useful to protect your laptop, desktop, file server, HDTV, home-theater system or other valuable electronic equipment, because definitely you will be upset to see failure of these electronic devices due to lightning strike. 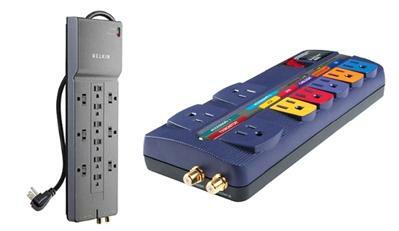 - Which type of surge protector you need? Basic or advanced? This will depend on what kind of devices you try to protect. - How many outlets you need? It can be single, double, four, eight or more. - You should also consider the cable length of power outlet, don’t buy the one with too short cable. If you are interested, you can have a look on these different surge protectors .